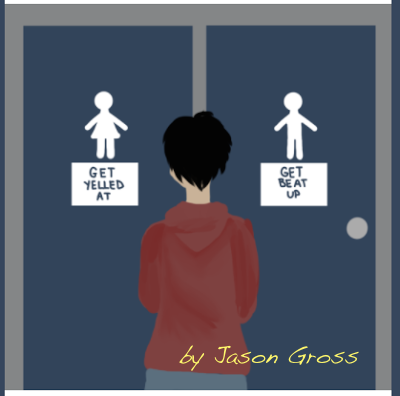 No transgender student should have to suffer these consequences. I must confess that I've been following the disaster in Washington closer than the weather related disasters in California and elsewhere... as if we need another example of climate change - it won't make a bit of difference to our new head of the Environmental Protection Agency who is intent on doing anything but protecting the environment. And then there was the Congressional Hispanic Caucus being denied entry to a meeting with ICE - can anything out of Paul Ryan's office be more disrespectful. Yes, I've been a news addict. Checking my blog list morning, noon and evening and sometimes in between. I refresh the browser frequently because some new development might have transpired in the past ten minutes. Perhaps the entire administration has resigned. One can only hope. In the midst of this nightmare, seeing a movie sounded like a good idea. Leon is working a 10-day stretch so I made a date to go to the movies with Wendy, our neighborhood admirer of gay men (she's too nice to be called a fag hag). So we went to a matinee on Saturday. Strange that I felt as nervous as a teenager on a first date, given that I have never felt anything but comfortable with Wendy for the 16 months that we've been friends since moving here to Cochiti Lake. But my date anxiety is beside the point. I want to say a few words about the movie, Manchester by the Sea. Now, I am no film critic; for a slew of reviews or for a synopsis of the storyline you can Go here for that. I've seen only two movies in an actual movie theater in the past year and a half, maybe two years. The last one was that Star Wars sequel or prequel which was not worth writing home about. Leon made me go. But Manchester by the Sea was truly a movie that lived up to the artistic standards that make for great films. I admit that one of the reasons I wanted to see Manchester by the Sea was because the story takes place in New England - in Massachusetts which is quintessential New England (the scenes of snow and trees and water and boats and winding country roads and congested small town traffic - such familiar scenes...pleasant perhaps, but they also reminded me that I do not miss the snow and the back-breaking shoveling and the tight narrow streets and honking horns of impatient drivers). The filming location and setting in New England and by the sea becomes a character in its own right. And the choice of background for each scene not only contributes to the mood and impact of the scene, but conveys a realism that brings the viewer into the experience: a torn chain link fence, street-dirty snow, a fishing boat out on the water, a country road, a pub, a basement apartment, an alleyway, a cluttered bedroom. As for the movie itself, in my view, Casey Affleck as Lee Chandler carried the film almost singlehandedly, although fine performances were delivered by the actors playing supporting roles and lesser characters (all of whom are listed here). My only critique is that Patrick seemed older, too precocious, for a 16-year-old. The film artfully and carefully revealed the pain and anguish that Lee harbored for years following a horrific tragedy. We wonder about so many things. The script and the director and the acting all masterfully make us wonder and question: what are the pieces of the story, the past, that makes this guy so introverted, both so meek and so prone to explosive anger, so deeply sad and stoic, why he behaves in certain ways, what became of his ex-wife, his alcoholic sister-in-law, the reason why he left his hometown, his relationship with his brother and nephew. The filmmaker uses flashbacks to fill in the missing pieces - a technique that here is done so well and perfectly integrated. The stereotypical Catholic Irish American has been portrayed in TV and film so many times that we must all be familiar with the men who are conditioned not to show any emotion that might be considered weak or feminine but who are allowed bravado and, sometimes explosive, anger. A culture where alcohol is both a social lubricant and a curse. A culture where all tragedy and loss is either repressed or dealt with stoically, or eased by a few stiff drinks. The family in Manchester by the Sea is, I suppose, a typical/stereotypical, Irish American New England family, convincingly and realistically portrayed. A family not untouched by tragedy. As this story unfolds, the underlying emotions, despite the several characters' efforts to keep them buried, take on a life of their own. Emotions come to the surface gradually, most noticeably in Lee, but also in Patrick (Lucas Hedges) and Randi (Michelle Williams), as people and events force the characters to confront their losses. My only regret on seeing this film was that I did not bring a box of Kleenex. Go see Manchester by the Sea. If you're anything like me, bring Kleenex. Our New Mexico Senator, Tom Udall had the floor today and read the entirety of Coretta Scott King's letter opposing Sessions' previous nomination as Federal Judge. Thank you Senator Udall for standing against the nomination of Senator Sessions for US Attorney General and for vindicating Senator Elizabeth Warren who was cruelly and vindictively shut down by the spineless and petty republican majority. Please, continue to resist the regressive and dangerous Republican agenda. We are with you. As far as the spineless republicans shutting down Senator Elizabeth Warren, they might have just as well invoked rule Number 798,562. It was a blatant attack on Warren. They despise her 1) because she is a woman, 2) because she is not afraid to speak truth to power, 3) because they are embarrassed to see their sins written in the sand. Seems like they had all kind of excuses why she was censured but the men who read Coretta King's letter were not. Please listen to Senator Udall's entire speech. He is not afraid to tell the truth about our president. I have vowed not to use the name of the president, nor honor his title with a capital P.